The Almighty has destined every human being for some particular job. If one has been created to acquire knowledge and wisdom, another has been endowed with capability for discovery and invention and a third one for labor and effort. If some are suited to play a role in government and politics, others have been entrusted the task of teaching and training their fellow-men and so on. The compassionate leaders, who are interested in the prevalence of good order and comfort in their environments, and desire the advancement of the individuals as well as the society, test the taste and talent of a person before entrusting him a job, and give him only that work which accords with his aptitude and capacity. In case this is not done the society is exposed to two disadvantages. Firstly the man concerned does not do what he can and secondly whatever he does proves to be futile. It is said “In every head there is an aptitude. Lucky is he who recognizes his aptitude”. A teacher was advising an indolent student. He was telling him about the evils of sluggishness and the fate of those who do not learn, but spend their lives in idle pursuits. Suddenly he saw that the student, while hearing his words, was also drawing a picture on the ground with a piece of coal. He at once realized that the boy had not been created to study and the hand of nature had meant him to be a painter. He, therefore, summoned his parents and said to them: “Although your child is careless and dull in studies, he has a good taste for painting. It will, therefore, be better if you arrange for his instruction in painting”. The parents of the boy accepted the advice of the teacher. He soon began to learn that art and eventually became a great painter of his time. The early period of the life of the children provides the best opportunity to their parents and guardians to test their inclinations and aptitudes and to gain knowledge about their talents from their acts, manners, ideas and conceptions. This is so, because the thoughts, actions and sweet and gentle words of a child are a mirror of his future and, if proper guidance suited to his faculties is provided, the best possible benefit can be derived from his aptitude. The study of the ways and manner; of the Holy Prophet, right from his childhood till the commencement of his prophetic mission, draws in our eyes the picture of the background of his life and his sublime thoughts, and the scrutiny of the history of his childhood tells us about his brilliant future. Rather, his brief biography up to the day he was appointed to the prophetic mission, when he declared himself to be the guide of the society, informs us about his future, and makes clear the purpose for which he had been created, and also tells us whether or not his claim to Prophethood and leadership accorded with the events of his life. It tells us whether or not his forty years’ life and his behavior, character, speech and the conduct of his long association with the people support his prophethood. Keeping this in view, therefore, we place before the readers a part of the early life of the Holy Prophet. From the day the newly-wedded daughter-in-law of Abdul Muttalib (viz. Aminah) had lost her young and dignified husband she had been waiting for an opportunity to go to Yathrib and to see with her own eyes his last resting-place and in the meanwhile also to see her relatives in that city. Eventually she decided that the proper time for her journey had arrived and her dear child had sufficiently grown up to accompany her. They made preparations for the journey and left for Yathrib along with Umme Aiman. They stayed there for one month. For the young child of Quraysh this journey was very severe and caused him spiritual pain, because he saw for the first time the house in which his father had breathed his last as well as the place where he was lying buried and naturally, till that time, his mother had already told him many things about his father. This unfortunate happening made Muhammad all the more dear in the eyes of the members of his family, and the only rose, which had survived this rose-garden, became all the more the object of affection and love of Abdul Muttalib. He loved him more than his own sons and gave him preference over everyone else. The philosophy underlying the orphan hood of the newborn child of Quraysh is not very clear to us. We know only this much that the roaring torrent of accidents indicate a good purpose. In view of this we can guess that Allah willed that before the leader of mankind assumed the reins of affairs and commenced his leadership, he should taste the weal and woe, and experience the ups and downs of life so that he should develop a great forbearing and courageous spirit and with those sufferings should prepare himself to encounter in his later life a chain of hardships and deprivations as well as homelessness. Allah had willed it that he should not be educated by any person and should not be under obligation to submit to anyone. From the very early days of his life he should be free and independent and procure the means of his advancement and elevation like a self-made man so that the people may realize that the inspiration in his case is not a human inspiration and his parents have had no part to play in molding his character, way of thinking and bright future and his greatness and excellence have emanated from the fountain of revelation. Heart-rending wordily accidents make appearance during the course of human life, one after the other, like huge waves of the sea and hurt the human soul. The waves of grief still reigned over the heart of the Prophet of Allah when he had to encounter another great mishap. He was not yet more than eight years of age when he lost his grandfather. The death of Abdul Muttalib had so deep an impression on him that he kept weeping up to the very edge of his grave and never forgot him. We shall speak about the personality and greatness of Abu Talib in a specific chapter and shall prove his Islam and faith in the Holy Prophet with authentic evidence. However, for the present, it is only appropriate that we should narrate the events related to the guardianship of the Holy Prophet by Abu Talib. There were a number of reasons which made it appropriate that Abu Talib should undertake the responsibility and the honor of looking after the Holy Prophet. He and Abdullah, father of Muhammad, were born of the same mother84 and he was also well-known for his generosity and goodness. For this reason Abdul Muttalib selected him for the guardianship of his worthy grandson. The services rendered by him in this capacity are recorded in history in golden words and shall be narrated later. When the Holy Prophet was fifteen years old, he took part in a battle along with his uncle. As this battle was fought in the months during which fighting is prohibited it is called the Battle of Fujjar. Detailed accounts of Fujjar Battles are given in history books. It was customary for the Quraysh who were engaged in trade to visit Syria once every year. Abu Talib had determined to participate in the annual journey of Quraysh. As regards his nephew, whom he did not usually leave alone even for a while, he had decided to leave him behind in Makkah and to appoint some persons to look after him. However, when the caravan was about to move, tears trickled down the eyes of Muhammad and he extremely felt the separation from his guardian. The sad face of Muhammad aroused the sentiments of Abu Talib to such an extent that he felt compelled to bear the hardship involved and to take Muhammad along with himself. Most of the historians say that the nephew of Abu Talib did not proceed beyond that place (Busra). However, it is not clear whether Muhammad’s uncle sent him back to Makkah along with someone else (and this appears to be quite improbable after Abu Talib having heard from the monk that he should not separate his nephew from himself) or himself returned to Makkah along with him and discontinued his further journey. And sometimes it is said that he took Muhammad to Syria along with him, exercising much care about him. In the chapters of this book we shall point out the mistakes and occasionally the lies and unjust calumnies of the orientalists so that the basis of their information may become known and it may also become clear to what an extent they try intentionally to confuse the minds of the credulous people. “On account of the greatness of spirit, purity of mind, retentive faculty and profoundness of thought, which nature had endowed upon Muhammad in abundance, he learnt from that very monk the stories of the Prophets and of the perished communities like Ad and Samud and also acquired most of his vital teachings from him during the same meeting”. 1. The historians are unanimous that Muhammad was illiterate and had not learnt reading and writing. Moreover, at the time of this journey his age did not exceed twelve years. Now is it possible to believe that a boy, who was not more than twelve years old, should learn the realities of the Taurat and the Injeel and later, at the age of forty years, give them the shape of revelation and introduce a new religion? Such an eventuality is beyond usual standards and keeping in view the extent of human capability it may be said that it is not possible intellectually. 2. The period of this journey was too short to enable Muhammad to acquire even a smattering of the Taurat and the Injeel, because it was a trade journey and did not last for more than four months including the period of stay. The reason for this is that Quraysh journeyed twice in a year – to Yemen during winter and to Syria during summer – and in view of this it cannot be imagined that the period of the journey in question exceeded four months. And it is not possible even for the greatest sage of the world to master these two voluminous Books in such a short period, not to speak of an illiterate boy, especially when he was not with the monk for full four months and this meeting had materialized at a halting place during the journey and did not last for more than a few hours. 3. History provides testimony to the fact that Abu Talib wanted to take his nephew to Syria and Busra was not their real destination. Moreover Busra was a place which lay on the route and at times the caravans stopped there to take rest. In that event how can it be possible that the Holy Prophet should stay on there and busy himself in the study of the Taurat and the Injeel. It matters little if we say that Abu Talib took him to Syria along with himself or that he returned from there (Busra) to Makkah or sent his nephew back to Makkah along with someone – in any of these cases the destination of the caravan and also of Abu Talib was not Busra, so that the caravan might have become busy in commerce and the Holy prophet might have simultaneously engaged himself in receiving instruction. As is well known, the idolaters of Makkah accused the Holy Prophet in different ways and studied the Holy Qur’an very minutely to find a pretext for their accusation. So much so that when they saw at one time that the Holy Prophet associated, on certain occasions with a Christian slave in Marwah they seized the opportunity and said that Muhammad learnt what he said from the Christian slave. The Holy Qur’an mentions this accusation of theirs in these words. However, as regards this accusation (i.e. the Prophet received instruction from Bahira) it has neither been objected to by the Holy Qur’an nor did the quarrelsome and objectors Quraysh make it a pretext. And this thing is in itself a clear proof of the fact that this accusation is the outcome of the brains of modern orientalists. 5. The stories of Prophets. 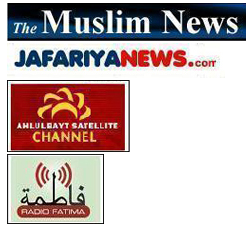 which have been narrated in detail in the Holy Qur’an, are totally at variance with those narrated in the Taurat and the Injeel and the matters ascribed to the Prophets have been narrated in these two Books in such an indecent and repulsive manner that they do not accord at all with rational standards. A comparison of these two Books with the Holy Qur’an shows that the contents of the Holy Qur’an have not been taken from them. And if it is supposed that Muhammad obtained information about the history of the nations from the two Testaments it should have been necessary that his narrative should also have been mixed with extravagant talks and myths. 6. If the monk stationed on the route to Syria possessed so extensive theoretical and religious knowledge that he could provide it to a Prophet like Muhammad why did he not acquire any fame himself? And why did he not give instruction to anyone other than Muhammad, when he was always visited by the people at large? 1. The Taurat says in the book of Genesis, (chapter 32, verses 28 – 30) ‘One night God wrestled with Jacob till dawn’. Dear reader! Please also go through the stories narrated in the Holy Qur’an and then decide whether it is possible to say ‘ I he Holy Qur’an which has narrated everything in so sublime a manner has borrowed the narratives relating to the Prophets from this very TI aural?” And if it has borrowed the-m from the Taurat why is not even an iota ot this extravagant talk reflected in them? ‘Isa went to a marriage party along with his mother and his disciples. It so happened that the wine got finished. He miraculously converted seven jars full of water into wine. (St. John, chapter 2, verses 1 – 11). In these circumstances, is it possible that Muhammad should have collected material for the Holy Qur’an from the monk at Busra? Unprejudiced persons, while comparing the stories and commands of the Qur’an with the Bible can understand that the latter cannot serve as the source of the Qur’an. 81. Seerah-i Ibn Hisham, vol. I, page 167. 82. Seerah-i Halabi, vol. I, page 125. 83. Seerah-i Ibn Hisham, vol. I, page 168. 84. Seerah-i Ibn Hisham, Vol. I, page 179. 85. Tabari, vol. I, pp. 33 – 34; Seerah-i Ibn Hisham, vol. I, pp. 180 – 183. 86. Taurat has narrated in detail the story of Adam and Eve in the book on Genesis, chapters 2 and 3.